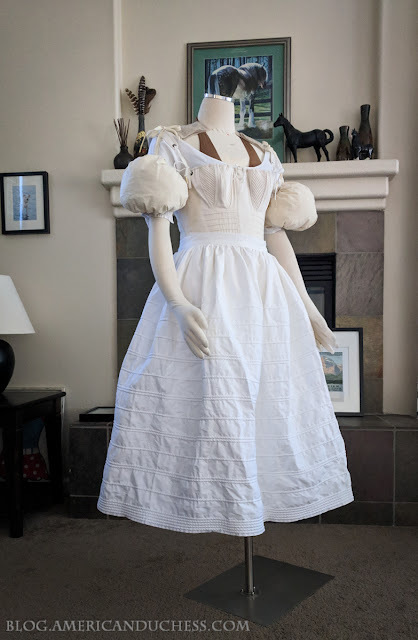 An 1833-ish Dickens Fair Gown! I have had an inexplicable love affair with the early 1830s for many years now, but it's never been satiated....until NOW! 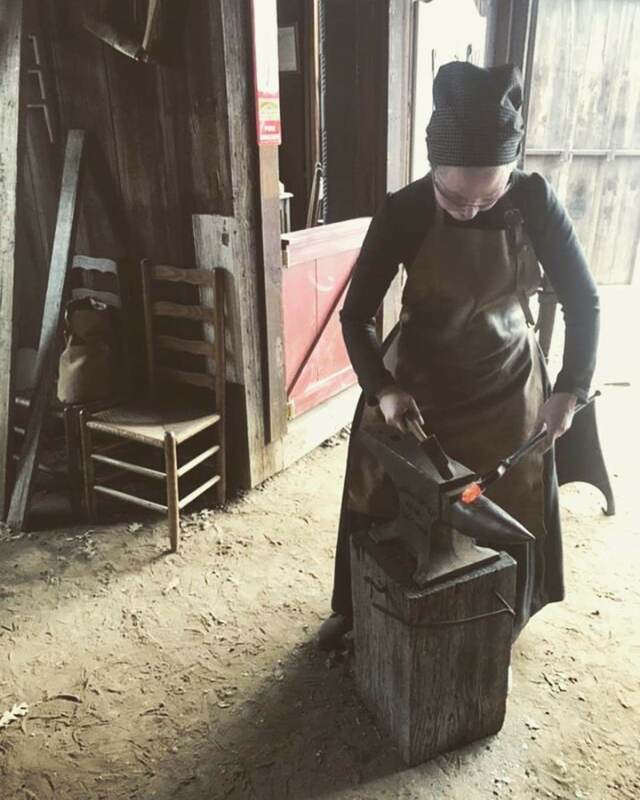 This year, our Gigot Girl Gang™ is headed to Dickens Faire in San Francisco. I spent many of my college years playing at Dickens Faire, but it's been a good six years since I've visited. Abby and Nicole have never been at all, so I'm doubly excited for them. The dancing, the shopping, Cuthbert's Tea House, Naughty French Postcards ... it's going to be great! 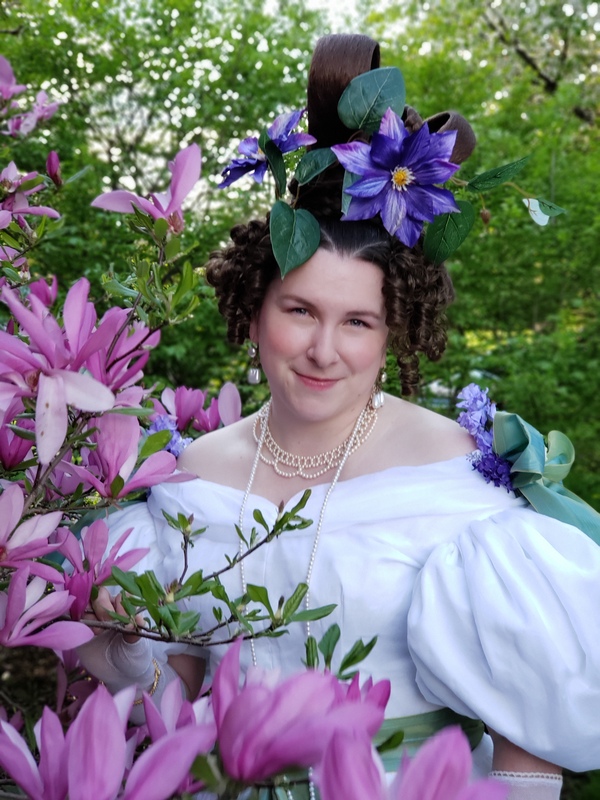 It's always been on my costuming bucket list to do an absolutely mad 1830s gown for Dickens. Dickens' "The Pickwick Papers" was published in 1836, followed by "Oliver Twist" in '37 and "Nicholas Nickleby" in '38. A big pile of materials - the plaid will be the dress. The green, pink, and black are for the bonnet (you can see the buckram form there). The whitework will make a lovely canezou. I bought a gorgeous silk plaid at Costume College this year, made up of sage green, pink, olive green, and burgundy. 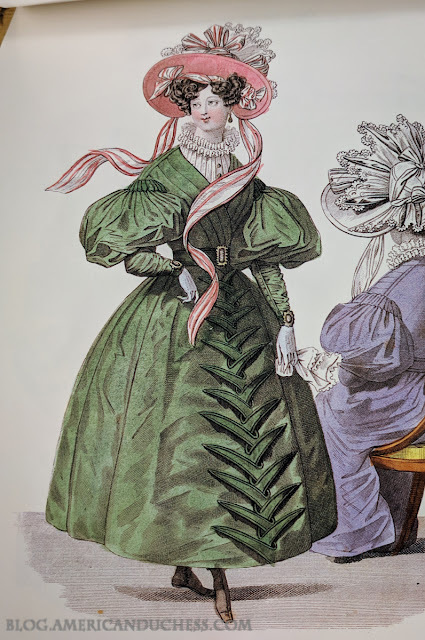 It was immediately slated for 1830s, though to be honest, the design is not symmetrical and it's not the bestest for dressmaking. Whatevs. Pretty. With fabric selected and motivating me, it was straight in to the underwear. 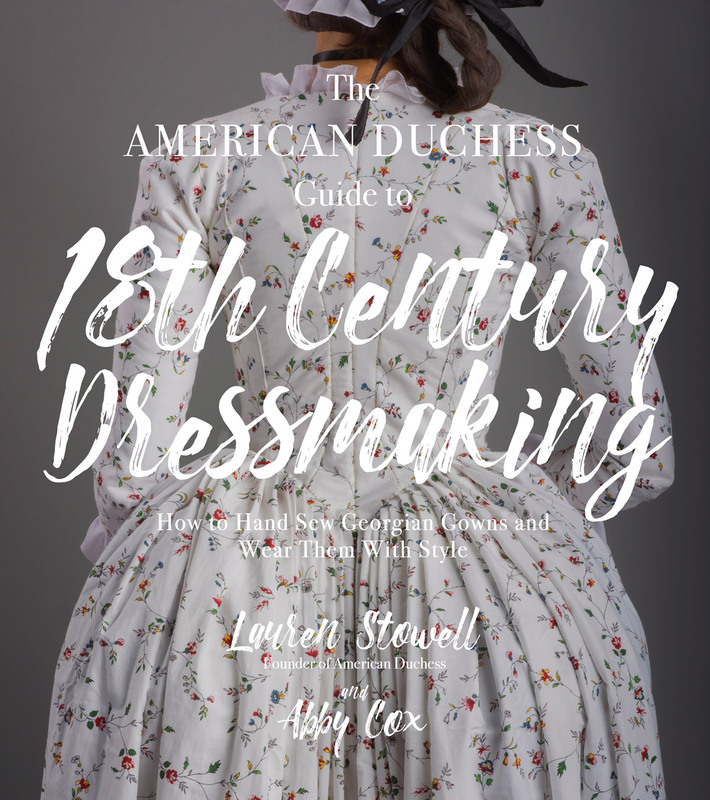 This past summer I compiled all of the undies needed for an 1830s gown, thank goodness! All underpinnings present and accounted for. 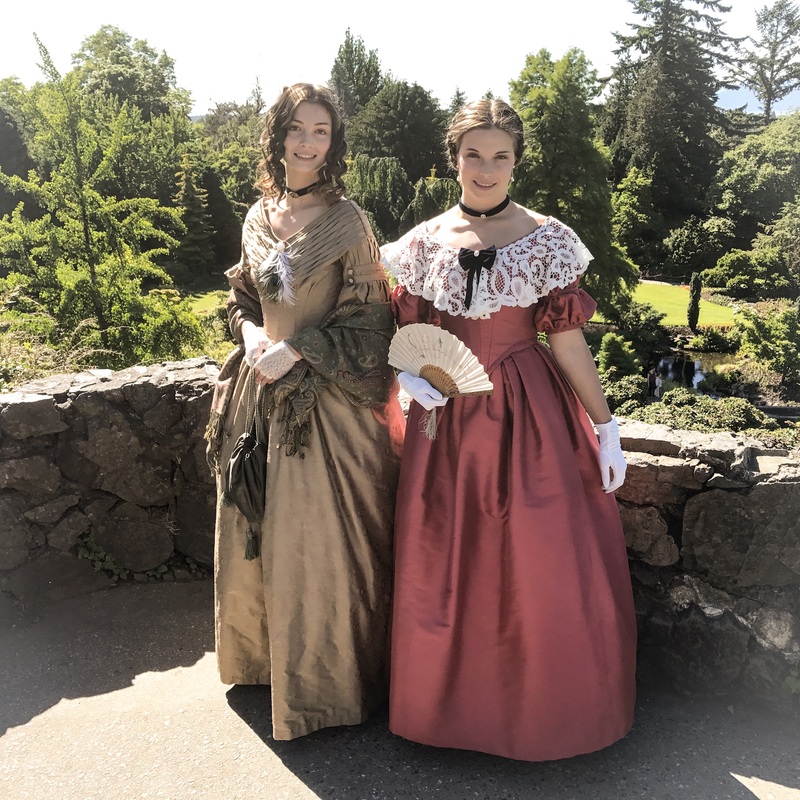 Seen here - linen shift, 1830s corset, sleeve plumpers, and corded petticoat. 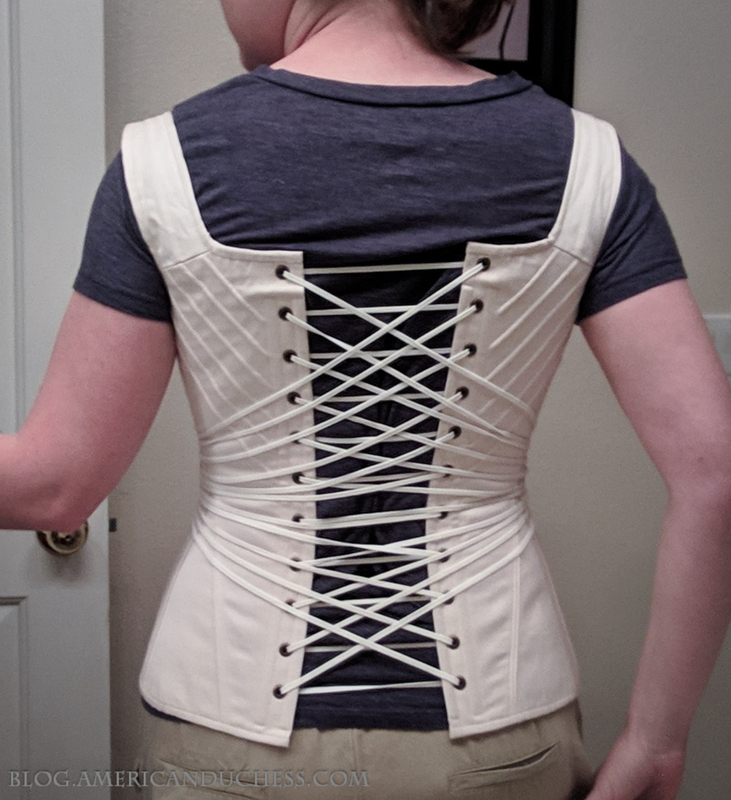 My corset is from RedThreaded and is the best thing ever. 1830s corsets exhibit some interesting cutting and clever use of bias that's really beyond me, along with cording and a curved busk (whhhaat). I left it to the professional and couldn't be happier at being able to just jump right in with a perfectly-fitting corset ready to go. The only thing I changed was to add fan-lacing, which enables me to lace myself up easily. (I'll share more about fan-lacing another time). Fan lacing on my 1830s RedThreaded corset. 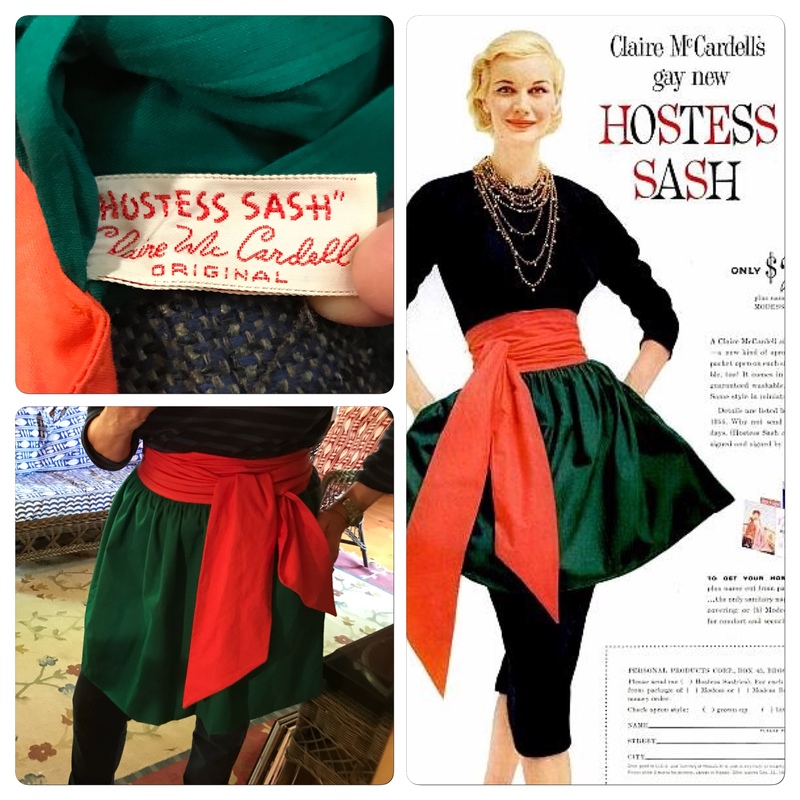 This is actually very easy to do and is really wonderful for those wanting to dress themselves. 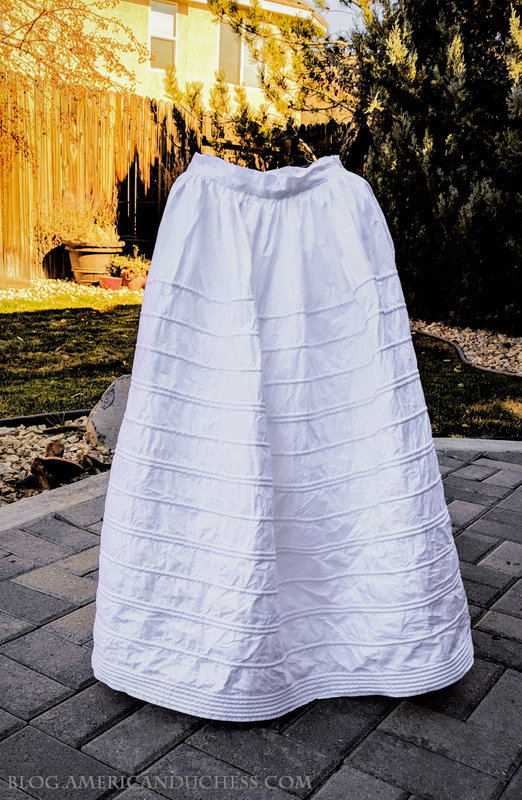 My corded petticoat is from HandStitchesInTime on Etsy. 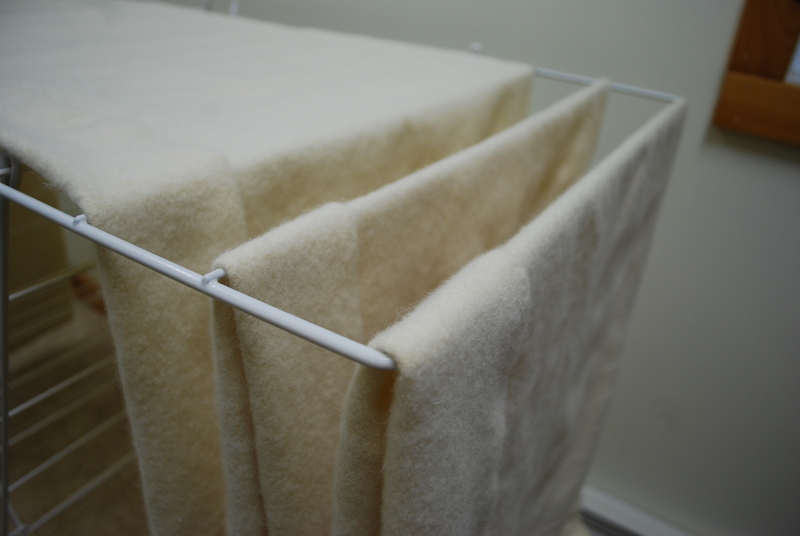 It's well-made and once starched it certainly holds its shape. I'm glad I ordered it in Summer because, as a custom-made item, it took a good three months to get to me. 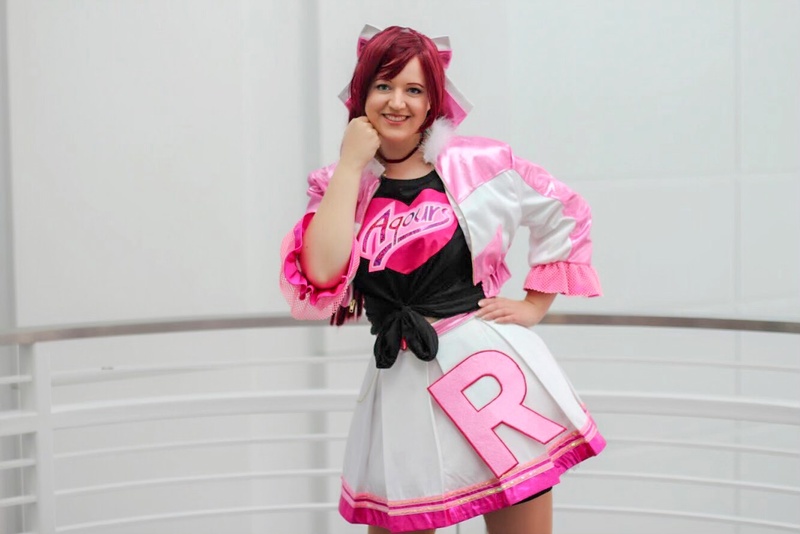 It was worth the wait to not have to sew that thing myself. The ghost of petticoats past - starched corded petticoat standing up on its own! 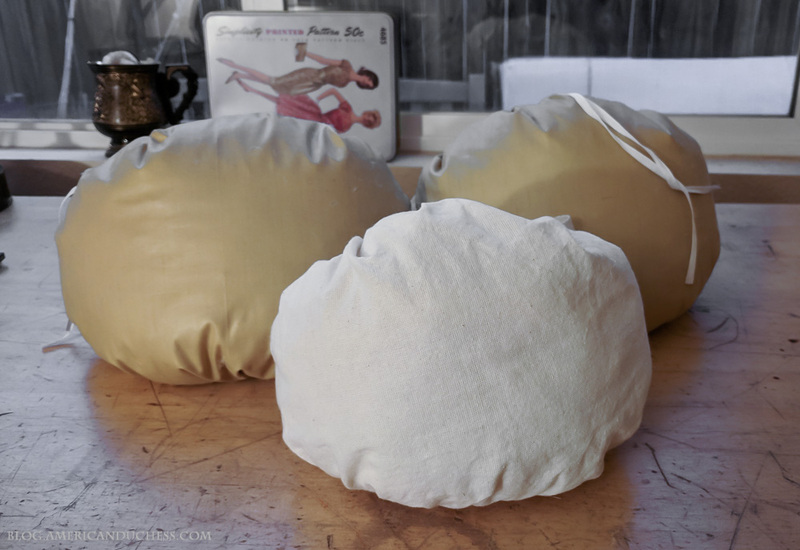 Here is the resulting silhouette of the bum pad, starched corded petticoat, and organdy petticoat (see on top). Large, puffy, and bell-shaped is the goal. 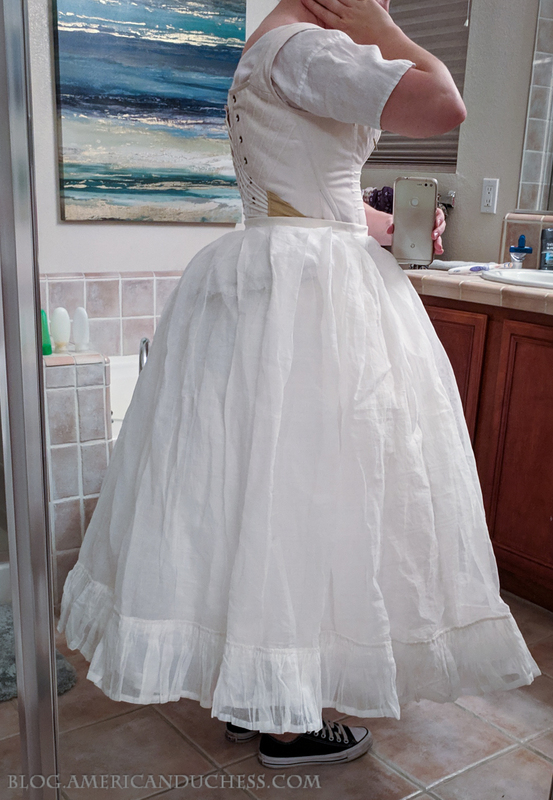 For underpinnings, I am also wearing a simple bum pad (bustle), an organdy petticoat (make one, it's the best thing ever! ), and sleeve plumpers (stay tuned for Abby's video about these). 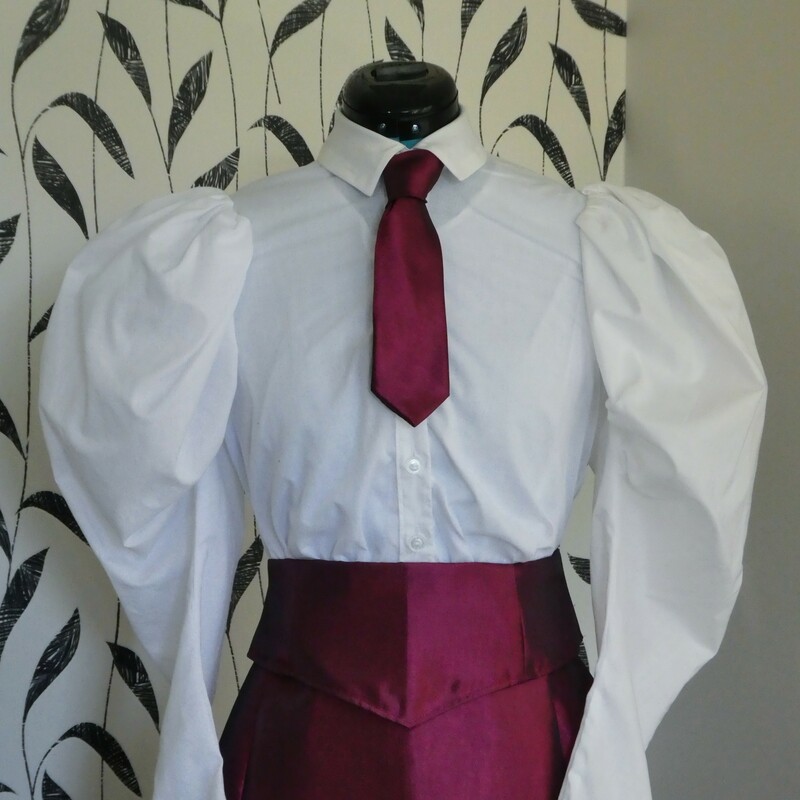 I initially ordered sleeve plumpers from WorkshopKarinaFienn on Etsy, and they're great, just not huge enough for my ridiculously ginormous sleeves. I ended up making new ones, which I'll share more about later. The plumper in front is one made by WorkshopKarinaFienn. The two behind are made by me and are at least a third larger and stuffed with down feathers. 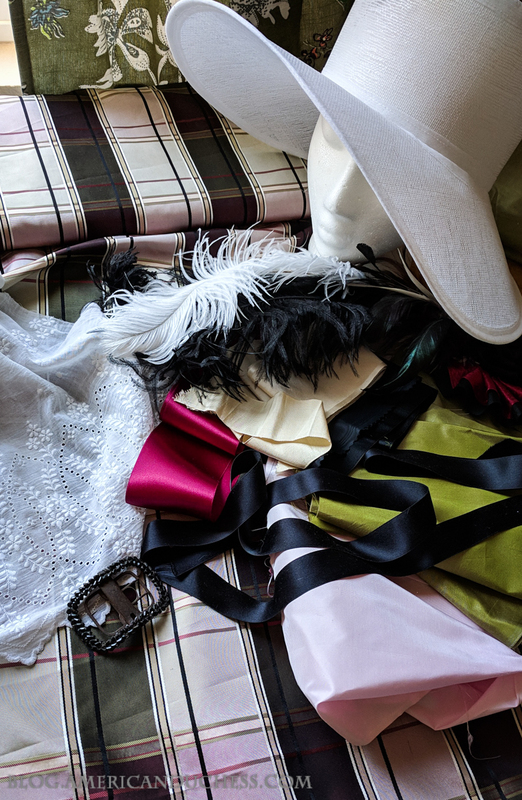 Other bits and bobs - my chemise is the same as I wear for 18th century. The design really didn't change much (or at all), so that remains my bottom-most layer. I'm planning to wear silk openwork stockings in ivory paired with "Bronte" slippers, an old style we made some years ago. At the risk of going too long, I'm going to break up these posts. 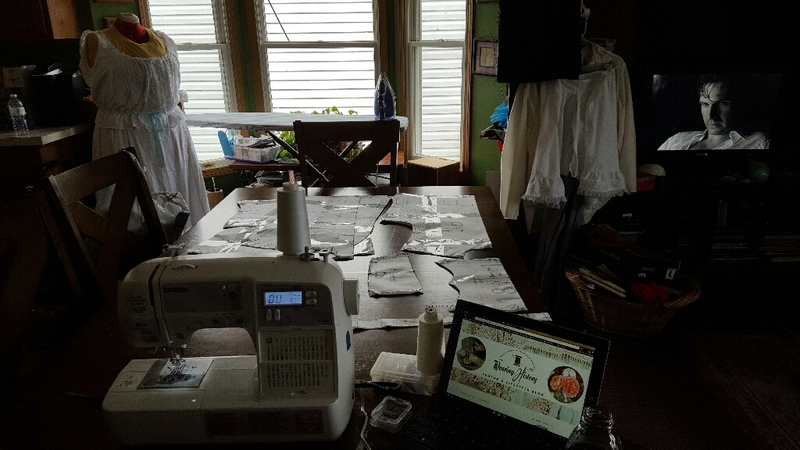 Next I'll share with you the bodice, skirt, and sleeve constructions...see you soon!